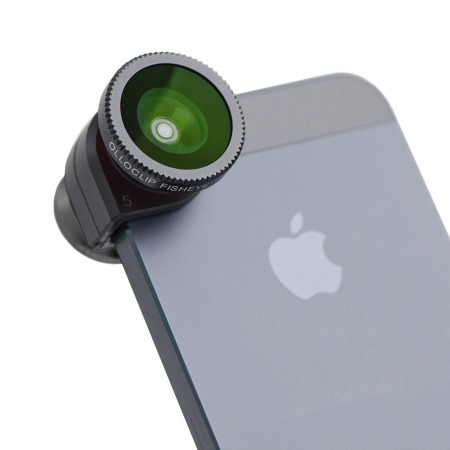 Enhance your iPhone 5S / 5 photography with this black olloclip lens kit. Combining fisheye, wide-angle and macro lenses in one easy quick-connect product. Wide Angle Lens - The Wide-Angle lens is great for when you need that extra field of view, approximately double that of the normal iPhone 5S / 5. Macro Lens - The Macro lens applies roughly a 10X multiplier and allows you to focus the iPhone within 12-15S / 5mm of the subject. The Macro lens is cleverly concealed within the olloclip and can be accessed by unscrewing the Wide-Angle lens that is normally attached to it. The olloclip is unique in that it does not require a special case or adapter. 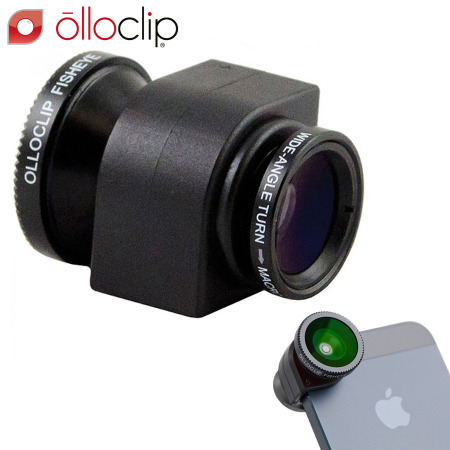 Simply clip the olloclip onto the corner of your iPhone 5S / 5 for immediate results. The olloclip can hold two lenses at a time so simply flip the clip over to switch between lenses and shots. 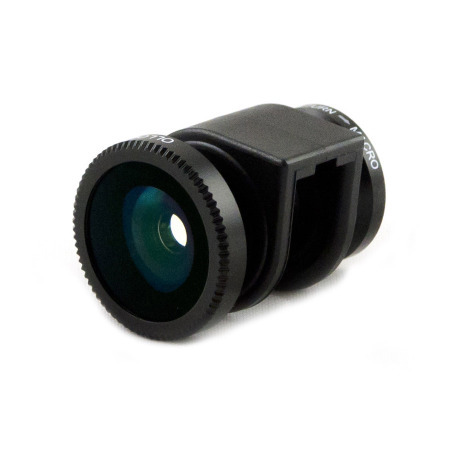 The olloclip uses precision ground glass multi-element optics for the lenses. The barrels are made from aircraft grade aluminum using a CNC machine and then anodised. The iPhone attachment is made from a soft plastic material that ensures a secure fit every time to the iPhone. The olloclip perfectly accompanies your iPhone's photography apps in order to create truly unique and stunning images. Ideal with instagram, Camera+, Hipstamatic and many more, the olloclip can be used to experiment and create exciting new photographic styles.